It’s the world’s hottest honeymoon destination, but homework is required to get the most out of the Maldives. Jillian Bolger, Pól Ó Conghaile and Sarah Siese have all the travel tips you need. It's a honeymoon image set to stun. Floury-white beaches. Finding Nemo reefs. Holidays that begin like James Bond movies, with guests delivered to small yet perfectly formed Indian Ocean islands via speedboats and seaplanes. Water villas, infinity pools, spectacular spas and cocktails at 11am… what could possibly go wrong? Well, a thing or two. 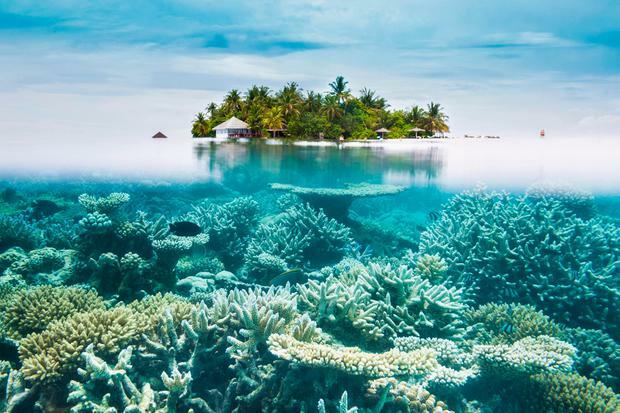 The Maldives is made up of some 1,200 coral islands flung like a necklace into the world's most ooh-inducing ocean. But choosing the right resort is only the beginning. Even paradise has its pros and cons, and anyone thinking of splashing out thousands of euro on a trip should know what they're getting into... hence our bumper collection of Maldives travel tips. Simply put, this awesome archipelago could be the holiday of a lifetime, or an ultra-expensive exercise in boredom. How so? First off, the Maldives doesn't do cities. 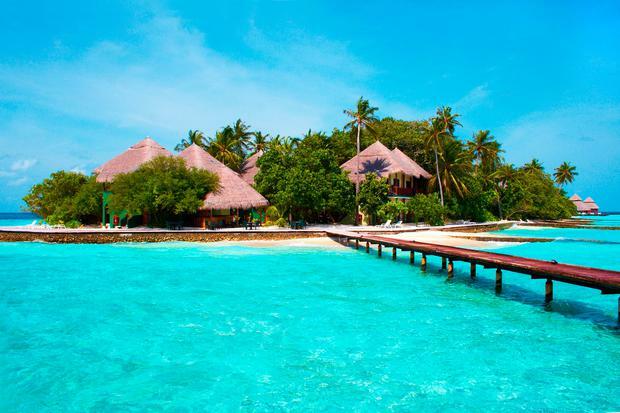 Apart from the tiny capital of Malé, tourism centres on scattered small island resorts. Shopping, nightlife and local interactions are in short supply (anyone looking for a city or cultural buzz should skip it, or add a stopover - in Dubai or Abu Dhabi, for example). Then there are the costs. 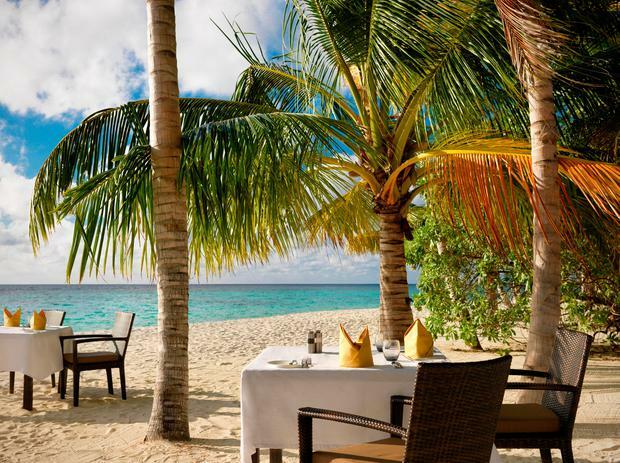 The Maldives has its relatively affordable resorts, but these can feel cheap and generic. Luxury is the calling card, so my advice is to splash on a shorter stay, rather than scrimping on a longer one. Talk to travel agents about resort options. What are the restaurants like? Is there a house reef? How many guests will be there? How long are the transfers? Does it have a spa? Is it near a famous dive site or surf break? The Maldives can be heaven (I've swum with whale sharks here, and eaten some of the best tuna of my life), or just another beach holiday. Do your prep work, pack smart, and you'll make sure it's paradise. Temperatures average out at a pretty consistent 27 to 30 degrees, but there are distinct seasons in the Maldives. December to February is peak holiday time, with the least rainfall, clouds and humidity… but blue skies bring high prices. March to April is hot and clear-skied for the most part (you'll find the best deals outside of the Easter holidays). May to November is off-peak - rain is more likely during these months, but conversely, it's when you'll find the best value breaks. Our tip? 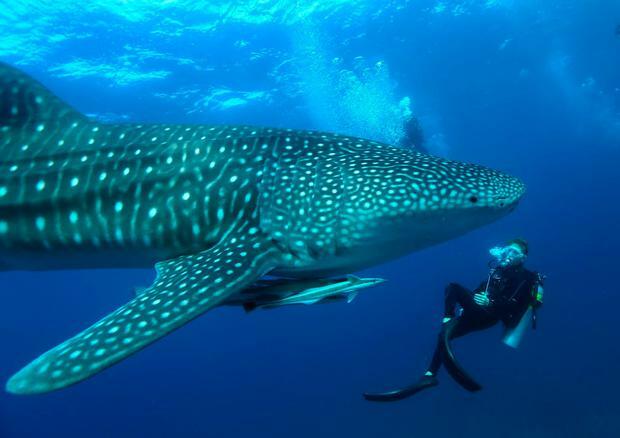 Ask your travel agent for advice, particularly if you're planning a visit based on encounters with wildlife such as manta rays and whale shark. 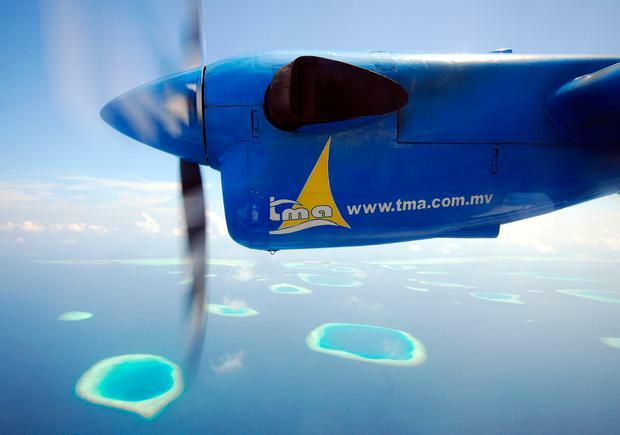 Getting to the Maldives from Ireland can involve three flights - typically a seven-hour trip to Dubai or Abu Dhabi, followed by a four-hour haul to Malé, and a transfer to your resort. Don't underestimate the journey or the jetlag, especially after a wedding. You'll need at least a week for your visit. A week in the Indian Ocean is the ideal opportunity to learn to dive, or to dive at some of the world's great sites. If you plan on either, make sure that your resort has a dive centre, and book any courses ahead of arrival. Remember, divers are advised not to fly for circa 24 hours after their last dive (to lessen the risk of decompression sickness). Schedule accordingly! Holidaymakers are captive on the Maldives' island resorts. Blissfully captive, but captive nonetheless. Expect high prices for everything from meals and drinks to activities, listed in US dollars (and topped up with taxes). To control costs, consider going all-inclusive or half-board. "Keep your shopping for the duty-frees in Dubai or Abu Dhabi on the way home," Pól advises. "There's a far greater selection, prices are lower, and you don't have to carry the extra load on hols." Don't expect nightclubs or party pubs in the Maldives. Resorts can fall quiet by 11pm or midnight, with just a few customers whispering sweet-nothings in the bars. Night owls need to manage expectations, or entertain themselves. Local experiences and immersions tend to be limited to staged shows, catch-and-cook-it-style fishing trips and the like in luxurious Maldivian resorts. If you want cultural excursions and town visits as part of your honeymoon, you may be better off going with a resort in Mauritius or the Seychelles. No visas are required for the Maldives - a 30-day free visa is issued on arrival for all nationalities, provided you possess a passport with at least six months' validity. You are also required to hold a valid departure ticket. No vaccinations or malarial measures are required at present. If you have questions about travel health, talk to your GP beforehand. The Maldives is a 'shark sanctuary', with all types of shark fishing banned since 2010. That means some 30 species, including hammerheads and whale sharks, can roam freely in its 90,000sq km of the Indian Ocean, not only creating a paradise for divers and snorkelers, but helping to sustain local marine ecosystems. The import and export of shark fins is banned too. Island pathways are made of powder-white sand, making high heels redundant in paradise. "By all means take some glamorous flats," Jillian recommends. Suits, ties and formal dresses have no place on the Maldives. Dressing up for dinner involves smart casual gear, so edit the evening wear. "Pack your floatiest dresses and thinnest shirts," Sarah advises. "A kaftan or loose beach dress can be thrown on over swimwear," adds Jillian. "You can also cover up before opening the door, should housekeeping or a butler drop by at the villa." "The chance of sunburn is high near the equator, so pack sunnies, high SPF sunscreen, sun hats and after-sun lotion," Pól recommends. "High-end resorts will have sunscreen in their shops (at high-end prices, of course) but not all resorts offer this service, so bring your own supply." Keen snorkellers should bring rash vests for sun protection too. Stock up on books or load up your Kindle. "With beach loungers, a cabana and sunbeds by the pool you're likely to find yourself horizontal for much of your holiday," Jillian says. If you're diving or snorkeling, don't forget a waterproof camera, phone case or GoPro. "These should have a lanyard to attach to your wrist," Pól adds. Take out cash (US dollars or rufiyaa) at the airport in Malé. You can sign for everything during your stay and even add a staff tip to your credit card bill on checkout, "but it's nice to put dollars or rufiyaa into your butler's hand on departure," Jillian advises. Many higher end resorts spray the islands, but these pesky little critters love paradise as much as anyone, so bring along your bug spray and bite-relieving cream. Similar to bathroom products, these are expensive to buy on-site - not least because almost everything in the resorts is imported. Can I do the Maldives on a budget? The short answer is no. Given the long-haul flights, transfers and exclusive nature of its island resorts, trips to the Maldives do not come cheap. That's not to say budget travel is impossible, however, just that prep-work and patience is required. Guesthouses do exist. Airbnb (airbnb.ie) has shared rooms from as little as €14pp per night, for example. These tend to be located on islands inhabited by locals, so independent travellers can get more of a feel for Maldivian life, as opposed to the luxury idylls of the island resorts. Be mindful however, that you'll also see a different side to paradise - relative poverty, coral bleaching and beaches that haven't been magically cleared of their litter, for example. The Maldives is also a Muslim country - alcohol and swimwear are fine in resorts, but you'll need to dress and behave appropriately among locals. Elsewhere, public ferries are much cheaper than seaplane and speedboat transfers (though you need these to access most luxury resorts). 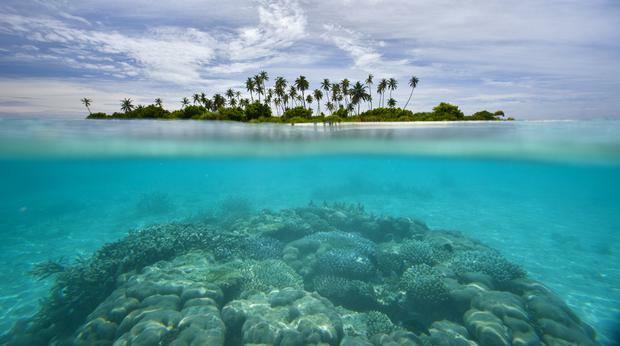 You can also save on snorkelling excursions by choosing islands with reefs close to shore. From Malé, consider taking both US dollars and rufiyaa in cash. For more tips, Irish travel blogger Janet Newenham has a solid intro on her blog, journalistontherun.com. The Maldives is considered to be the flattest country on earth, with no point rising higher than a streetlamp. The average height of the islands is just 1.8m above sea level… so you can leave the hiking boots at home. 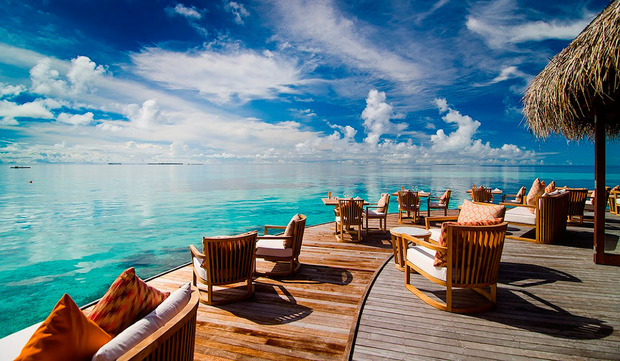 The Maldives is widely available as a honeymoon (and holiday) package from Ireland. Try Travelmood (travelmood.ie), Trailfinders (trailfinders.ie), Classic Resorts (classicresorts.ie), Tropical Sky (tropicalsky.ie), Topflight (topflight.ie), Abbey Travel (abbeytravel.ie) and Sunway (sunway.ie) for starters. See also visitmaldives.com for tourist info.